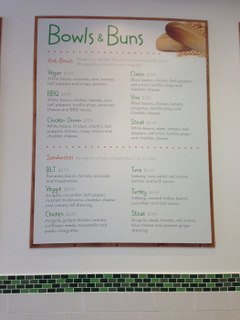 Awesome matte finish menu boards! This is an exciting time in Huntington Beach. Go Salad is opening its doors! Located at 18593 Main Street, the restaurant promises “freshly chopped salads & more.” This eatery represents a much-needed alternative to the fast food lunch and dinner choices that locals enjoy. In a city where leading a healthy lifestyle is an important aspect of the locals’ quality of life, this eatery could not have opened at a better time. When it came time to order the types of restaurant menu boards Orange County guests would like to see, the restaurant’s management team contacted Superior Signs and Graphics. Restaurant Menus That Get Noticed! We visited with the management team and looked at the artwork the company wanted us to incorporate. It was clear that this company’s vision of its signage was as unique as its business model. Could we do it? You bet! We manufactured matte menu boards from 6mm-thick PVC. Next, we offset-mounted the boards to the wall with spacers. We placed them on top of wood wall frames to give the eatery a farmer’s market type of look. 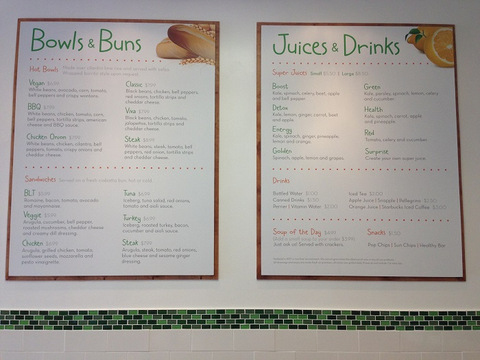 Menu boards vary by design and location. Over-the-counter boards. These menu boards are located right above the heads of your order takers. Guests at your restaurant select menu items while your cashier rings up the price and the kitchen staff receives its order. We customize these boards with your company’s colors in mind. Wall graphics. 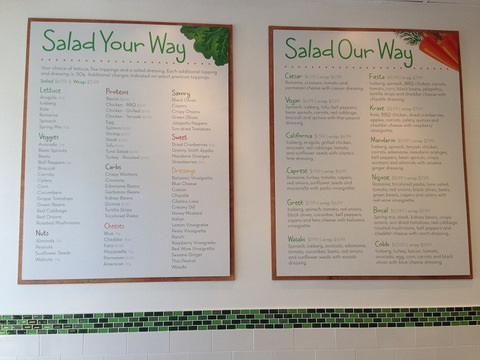 An innovative movement in the farm-fresh eatery community is the menu board that becomes part of a wall mural. These graphics outline all of the products and prices while being integrated into your branding message that bespeaks freshness, wholesome ingredients and old-fashioned meal preparation approaches. Easy to see and attractive! A-frames. Owners of eateries with patios as well as those located along busy streets like to use A-frames that list the highlights of their menus. Usually, they include the daily special as well as the most popular dishes that have customers coming back for more. Opt for a plastic sign with inserts or go for the chalkboard look. Cabinet. Mounted on the outside of your restaurant, this is a customized cabinet that holds a printed menu. It is a common sight with old-world cuisine restaurants. A more modern approach is the installation of durable restaurant menu boards Orange County eatery owners would also place on the interior of the space. Mall cart menu boards. Mall carts, food court vendors and also street vendors like to display the menu choices they offer. These are printed on smaller boards or on acrylic inserts that fit into frames attached to the carts. Ask us about restaurant signage! Getting started on your order is easy. Call our professionals today for more information on these – and other – restaurant signage products. We visit your location to take measurements and talk about the artwork and product details that you would like us to use. If you do not yet have artwork, we can help you to design the right look from scratch. This not only puts you in the driver’s seat of your eatery’s vibe, but it also helps you to integrate the style elements that help to set the tone for your guests’ dining experience.